For the ultimate luxury experience, Scarlett will take your breath away. 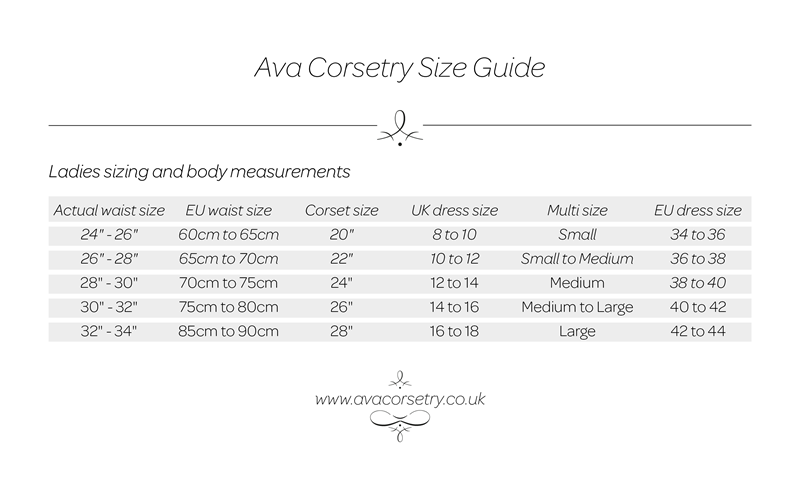 Made to order and your personal measurements only, this corset will slim and cinch like no other, lifting & achieving a jaw dropping display of cleavage. Silk outer and silk lining create the perfect base for seduction whilst 100s of hand applied Swarovski crystals glimmer & twinkle with every movement. Scarlett comes with a removable halter straps, optional matching suspenders. Approximately 34cm in length at front, Scarlett is made from 100% silk duponi, top quality corsetry coutil & lined with silk habotai. Superb German steel boning and busk feature internally with a full cotton waist tape for extra support. Two piece silver eyelets, handstitched binding and double satin red lacing finish off this stunning corset. Dreaming of a larger bust? We can help with that too. And take over the world. The possibilities are endless in this corset! We love to team it with a matching red skirt for total attraction. How will you wear yours? AVAILABLE: FOR CUSTOM ORDER ONLY. LEAD TIME 8+ WEEKS.